With an overall score of less than 2, Lottery Looper is one of the worst lottery software! At the very minimum, it should include the historical results for some lottery games. The software is not user-friendly, very poorly designed and lack functionality. We hope our in-depth review can save you from wasting your precious time in this software. 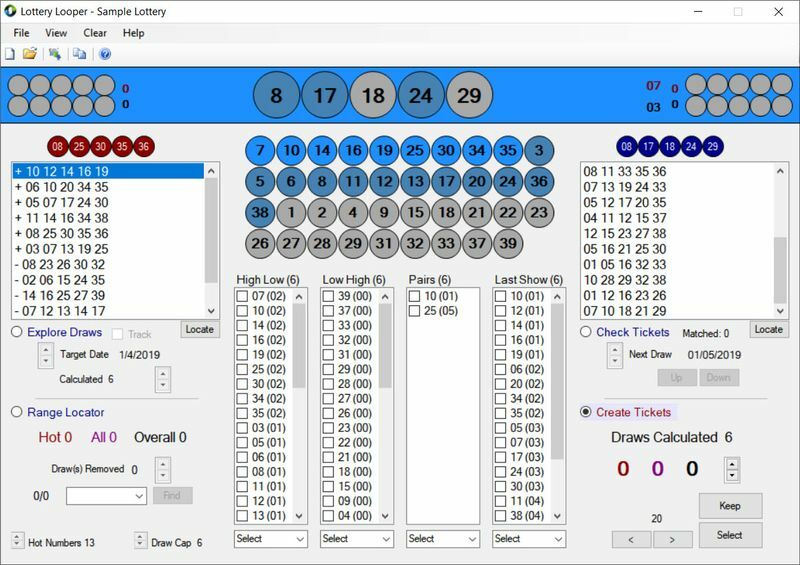 We downloaded, installed and comprehensively tested Lottery Looper Version 2.4 (released in January 2018). 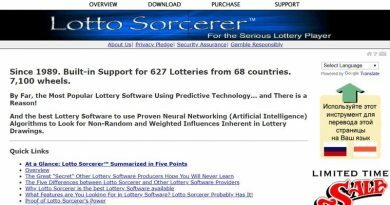 Lottery Looper can be downloaded from Timersoft website and the software is only available in English. The InstallShield setup is smooth but Lottery Looper is only available as a 32-bit program. 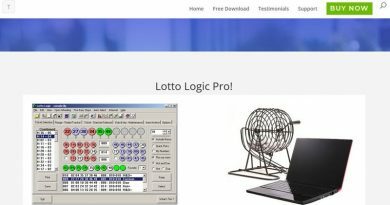 Most shockingly, Lottery Looper does not provide any lottery games as part of their lottery software package! Nonetheless, we created the California Fantasy 5 game and manually entered the recent draw results one at a time. There is no import function where you can import the results from a text file or Excel file. Lottery Looper is very poorly designed. There are no statistical tables or graphs. The main window only shows color-coded balls to represent the number of times drawn in recent draws. 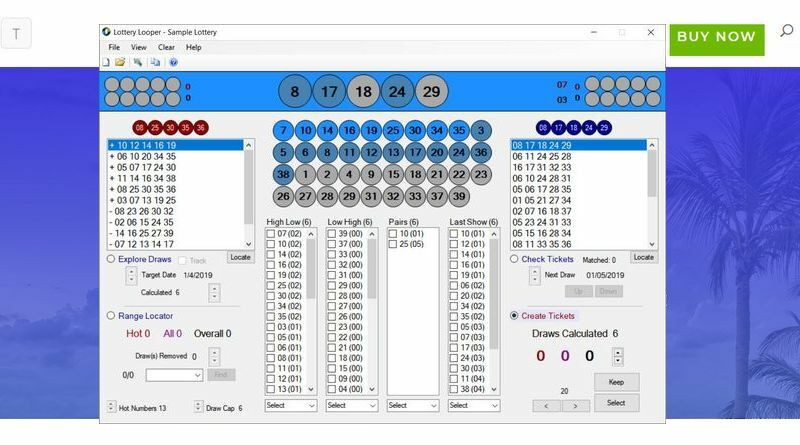 It took us a while to figure out how to use the software and we managed to generate 19 tickets for the next Fantasy 5 draw. We could not find any function to print or save the tickets and we captured the tickets in screenshots. The PDF help file is not helpful either. 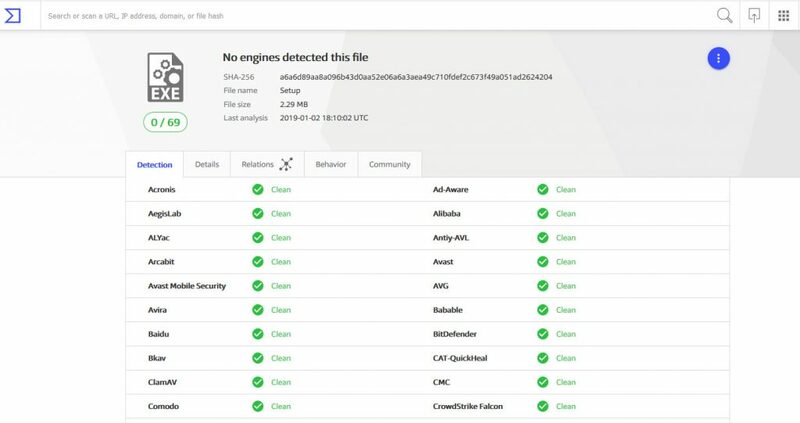 We also tested uninstalling the software and found that there are still remnants of Lottery Looper in our computer after the uninstall had completed. 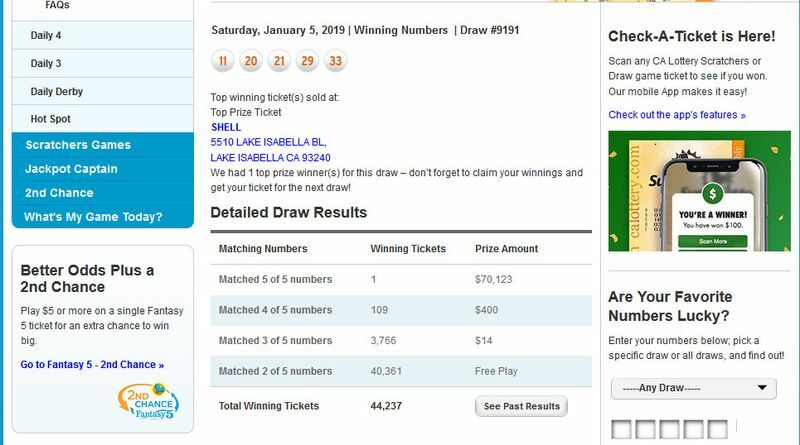 We checked the 19 lottery tickets produced by Lottery Looper for the California Fantasy 5 draw on 5 January 2019. There are 2 winning tickets matching 2 of the 5 drawn numbers. 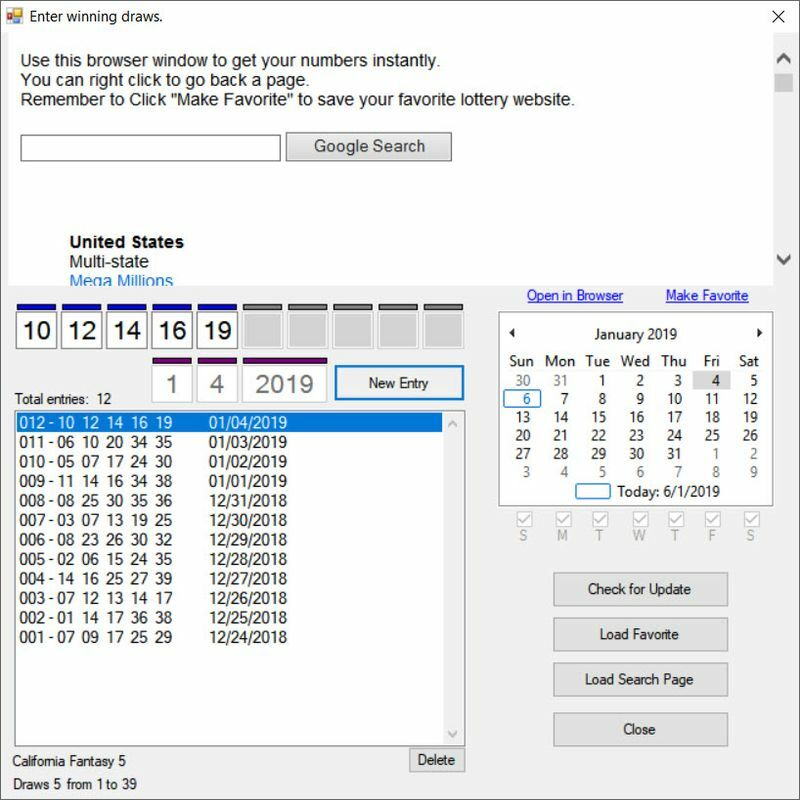 The Check Tickets function in Lottery Looper does not provide any visual indication on which numbers match the drawn numbers. The red circles for the matching numbers in the screenshot below are actually drawn by us for your easy viewing! As mentioned earlier, Lottery Looper does not provide the coverage or support for any lottery games. 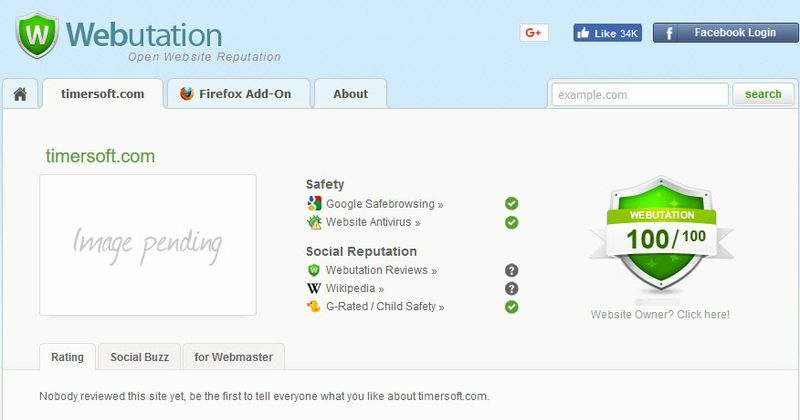 The Timersoft website has a good reputation at Webutation. 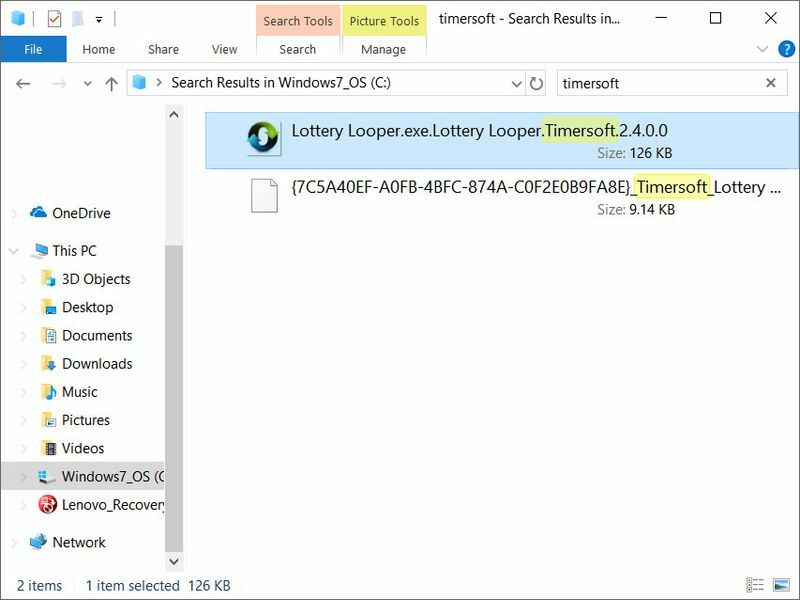 Lottery Looper has poor documentation with no version history. From our search, it appears that Lottery Looper was first released fairly recently in December 2014. The software is also not digitally signed. Digital signing using a code-signing certificate is important because it proves that the software has not been tampered with. Lottery Looper is priced at $29 with no subscription or annual renewal needed. The free version apparently limits the number of draw results that can be entered. We did not test this limit as we were tired after entering about 12 draws. We contacted their support through the online form in their website and received a response within a day. However, their response was very brief and they did not answer all our questions.